For the past four decades, billy barr – he insists his name be written with lower case letters only – has been living by himself in Gothic, Colorado, a ghost town deserted since the 1920s, passing the time by recording all sorts of data, from daily snowfalls, temperatures, snow melting, animal sightings, etc.. He never imagined that the results of his 40-year hobby would one day help scientists better understand global warming and earn him a cool superhero name – The Snow Guardian. billy bar first came to Gothic in 1972 as a Rutgers University environmental science student doing water chemistry research. He liked the quiet life here so much that he completed his semester to get his degree and became a permanent resident of the mountainous ghost town. He had grown up in New Jersey, but never really liked being surrounded by so many people, so moving to this secluded ghost town was a chance to get away from social pressure. “I grew up in the city. It was too much for me,” he says. barr began the winter of 1974 camping in a tent, which is not exactly ideal in a place where snow reaches twenty-five feet a year. Luckily, the owner of an abandoned mining shack was kind enough to let billy move in, to keep him from freezing to death. It became his home for the next eight years, and also the place where he started his impressive database on snow. The modern-day hermit claims that the sole goal behind his epic journal was to fight boredom. There’s not a lot to do in a ghost town in winter time, so he just started monitoring things like daily snowfalls, snow density, temperature, and anything else he could measure. “I didn’t have anything else to do. It was simple curiosity,” billy says. His original shack burned down eight years after he moved in, but he didn’t let the incident drive him away. He just found another place to stay and continued his amateur research. What’s amazing about his work is that he only uses measuring devices of his own invention. He uses a marked pole to measure the depth of snow, and a snowboard – which he cleans twice a day – to measure daily snowfall. A hanging butcher’s scale lets him weight the snow to determine its density. barr also makes notes of the first arrivals of animals in the spring, and of when the ground first reappears after a snowmelt. 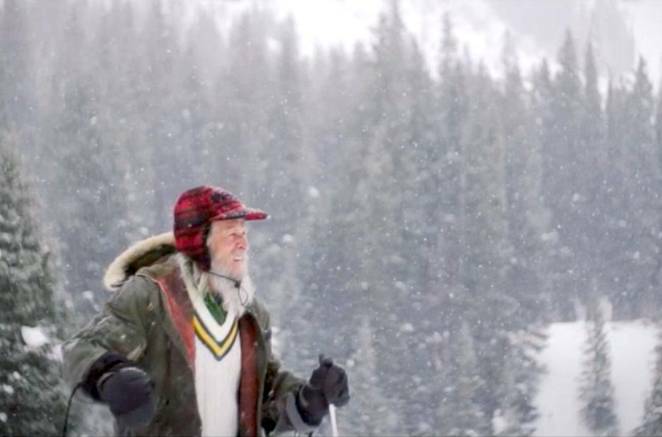 In a separate journal, 65-year-old billy bar has kept detailed notes about the avalanches he observed in the valley, a record which many consider to be the most comprehensive data on natural avalanches in the world. Put together, his mountains of data paint a clear picture of the radical transformation that Colorado’s high alpine landscape has sustained in the last 40 years, and provide valuable insights into the effects of global warming. His claims have already been labeled as biased by climate change deniers, but barr himself thinks that this is particularly why his data is so important – there’s no reason for bias. He wasn’t out to prove anything when he first started meticulously recording data. No one can logically accuse him of having a hidden agenda because he started his project long before people began talking about global warming. barr goes weeks at a time without seeing another human being, and the only way to reach the closes town is by skis. 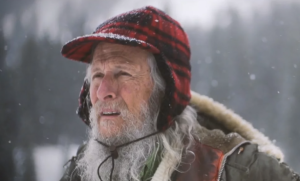 He travels the four miles to Crested Butte about two times a month to restock supplies, but he’s not a big fan of social interaction, so he likes nothing more than to hurry back to his cabin in a deserted town and watch a movie. He has bought a house in a nearby town and plans to move there when he’s no longer able to survive on his own so far away from society. But as long as he’s healthy, he’ll remain in Gothic. This entry was posted in Climate Change, General Interest. Bookmark the permalink.